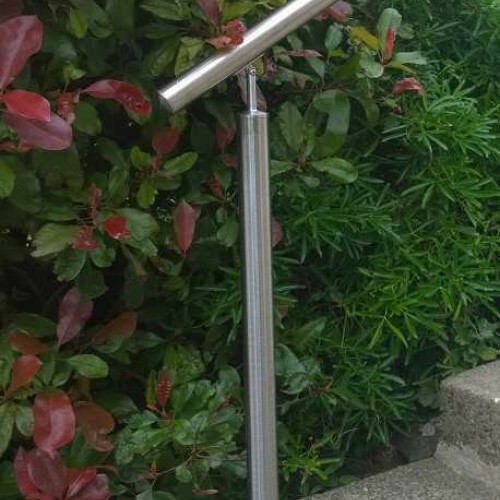 Brushed stainless steel handrails made from high quality tubular steel and polished to perfection. 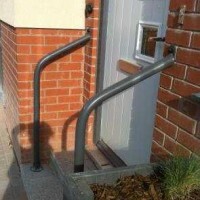 Various sizes available and the angles are adjustable for easy DIY installation to suit all ramps and steps. 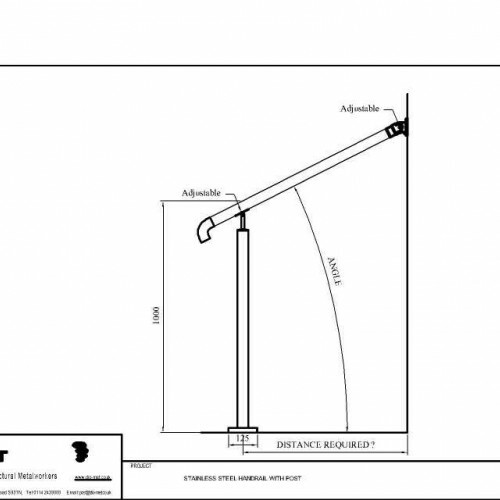 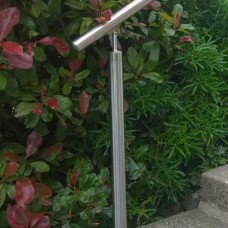 Post with pre-fitted handrail connector and base plate. 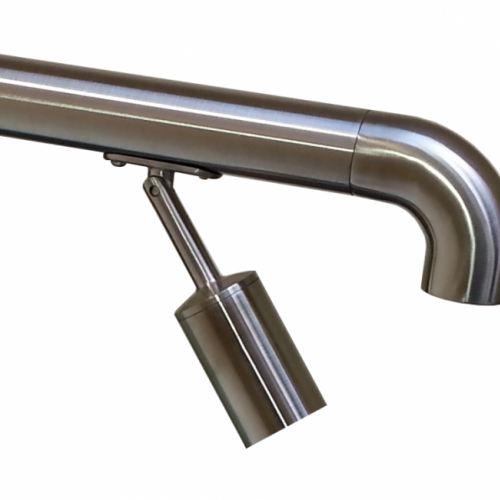 Our handrails are very simple to install with basic DIY skills.